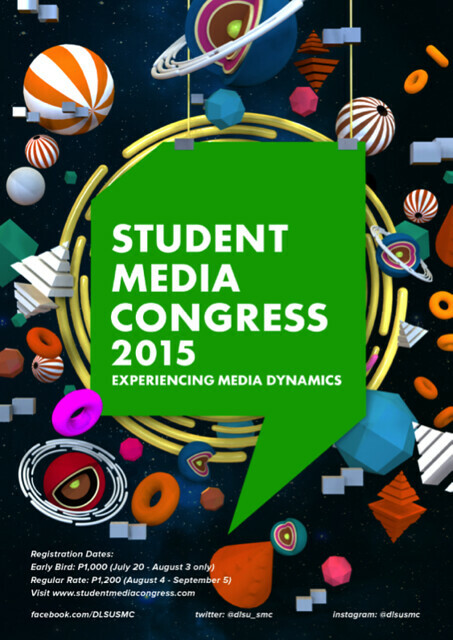 The 3rd The Student Media Congress |Register NOW! The Student Media Congress (SMC), on its third year, will open its gates once more to students and media practitioners who want to learn and experience the world of media through a two-day congress on October 16-17, 2015 that will take place in De La Salle University-Manila. I have attended one media, congress when I was in college. We held in Mirriam College.